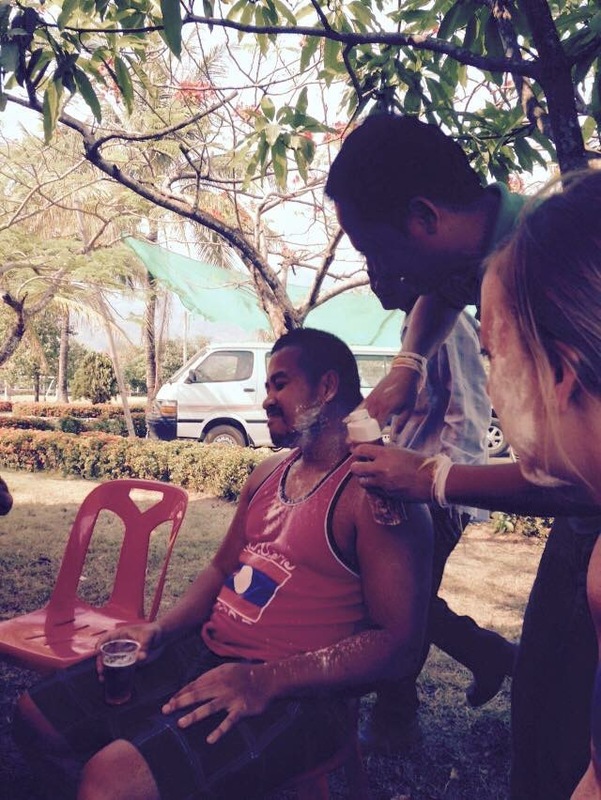 Before our visit to Southeast Asia last spring, I didn’t really know what Songkran was. I probably would still not have any idea if we didn’t make a trip to visit my husband’s family in Laos. It just so happened that we would be there during the Thai (and also Laos) New Year. I had no idea what to expect, except for the fact that Google search told me there was a huge water fight! I’m so glad to have been able to join in this celebration! We were too busy getting soaked so we didn’t get as many great pictures as we wanted, I guess we will just have to go back again to celebrate. Songkran is the Buddhist New Year celebrated across Southeast Asia and is celebrated for three consecutive days. Songkran started out as a Buddhist ritual to start the new year with purification. Monks attend temples, sprinkling Buddha statues in sacred water. This is believed to wash away the bad from the previous year and welcome the good for the new year. Over the years the holiday has turned into a ginormous water fight. The throwing of water is said to get rid of the bad. 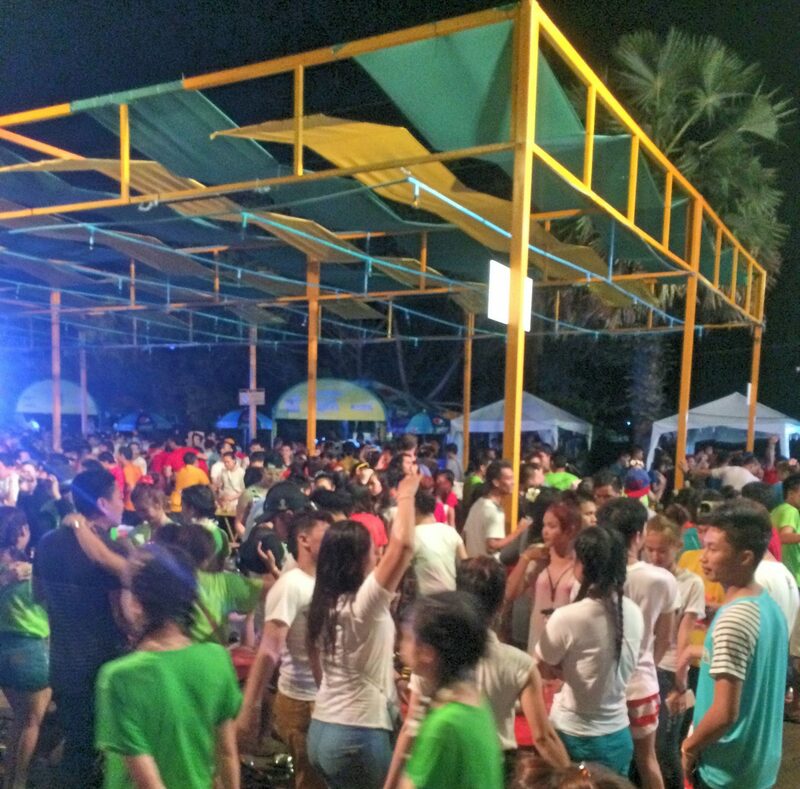 Now, Songkran is most widely known for the huge water fights. These are buckets and buckets of water being thrown in the street. We also saw hoses being used! Luckily the celebrations line up well with the hottest time of the year in Southeast Asia, as the cold water is actually welcoming. The holiday lasts from April 13- April 15, although in our experience it’s basically a week long celebration. The date was originally set by astrological calculations, but now it is fixed on the 13th. The first day that is celebrated is the last day of the current year. The middle day of celebrations is actually between two years, and the final day is the first day of the new year. A day before the celebration, the house is cleaned to get rid of all the bad from the previous year. Just because you are a visitor, doesn’t mean they will let you slide by without getting wet. In fact, they probably want to soak you more. I know we were big targets as we were walking around the streets. If you step outside, you will get wet! The kids especially find it hilarious when they can hit you with their super soaker. There are some set up on the sides of the street with their hoses, while others drive around in their pickup trucks with huge buckets ready to attack. Chiang Mai seems to be the most popular tourist destination, as well as Bangkok (particularly Khao San Road), Pattaya, Phuket, and even other countries in Southeast Asia such as Laos, have big parties. Although we had a great time celebrating in Laos with Tip’s family, I can’t imagine the craziness that ensues in Thailand, as Thailand is supposedly even more intense than the Laos celebrations. This is a serious party and people plan for this trip for a long time. Make sure you book your accommodation ahead of time as places will surely sell out quickly. 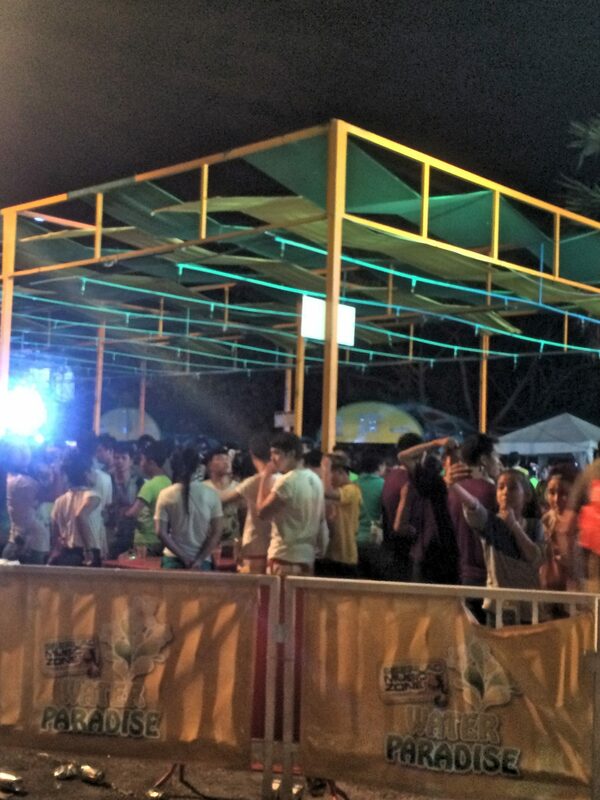 Also, if you are traveling to Thailand right before the festival, know that transportation will be busier as well. There is no way to avoid the water! Make sure that your phone is waterproofed! A waterproof bag and a waterproof camera are a good idea. 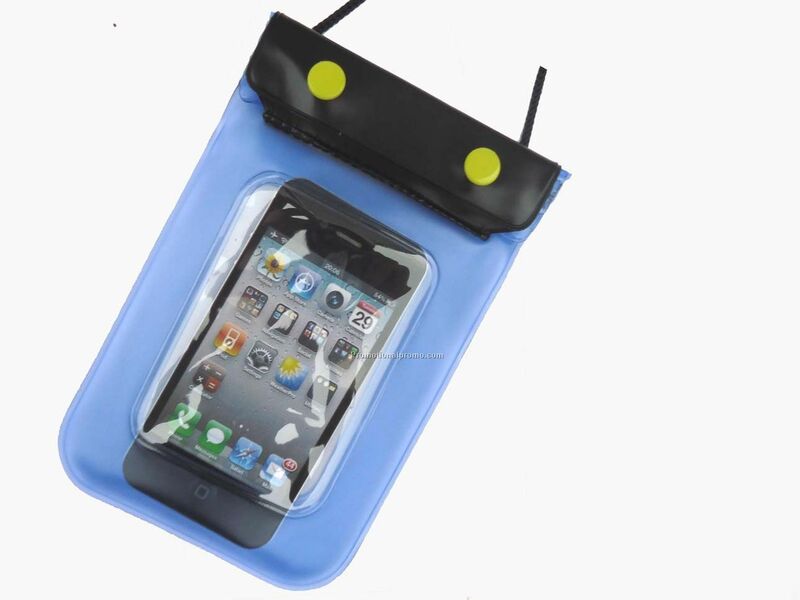 Everywhere sells waterproof pouches for your phone, so don’t worry about needing one before you leave. 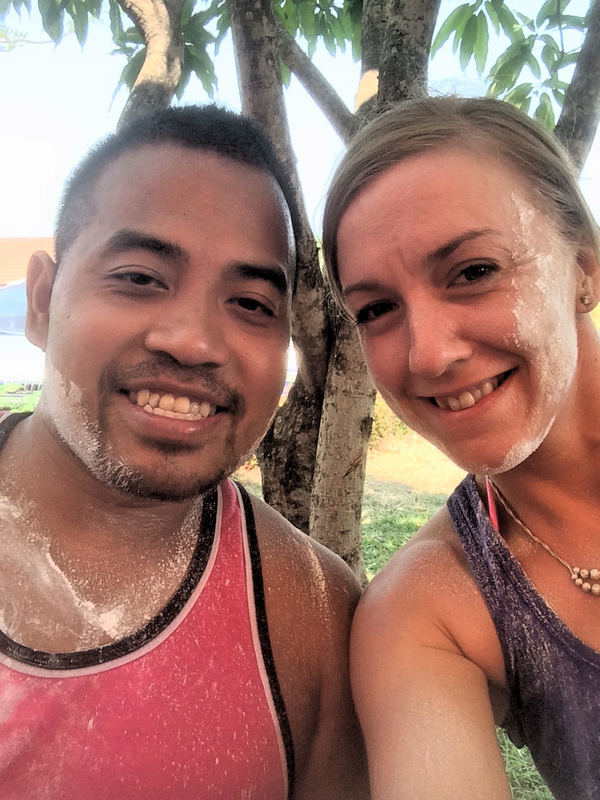 We used our GoPro most of the time since its already waterproof, and it worked out well! There will be lots of alcohol consumed during these days so learn how to pace yourself. We spent all 3 days, and maybe even more, doing a lot of dancing, drinking, and getting soaked. It was awesome! You don’t want to be walking around town without anything to fight with. We ended up buying some small squirt guns in order to fight back. It wasn’t much compared to the buckets or the hose they had, but at least it was something! 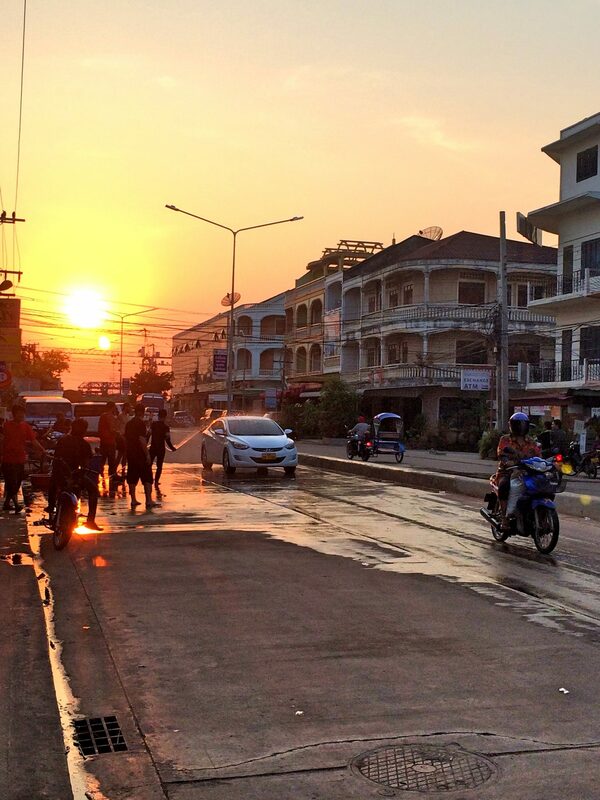 If you haven’t been in Southeast Asia to celebrate Songkran we HIGHLY recommend going! It is such a fun festival to experience! We didn’t get as many great pictures as we wanted, so I guess we have to go back again soon! What is the best festival you have participated in? Haha you learn something everyday. This is an awesome festival. Though I’m not sure you can say that we need to “survive” it since it’s hot and the cold water is welcoming. Yes, the cold water is refreshing! “Surviving” only because its A LOT in 3 days! That looks like SO MUCH FUN! 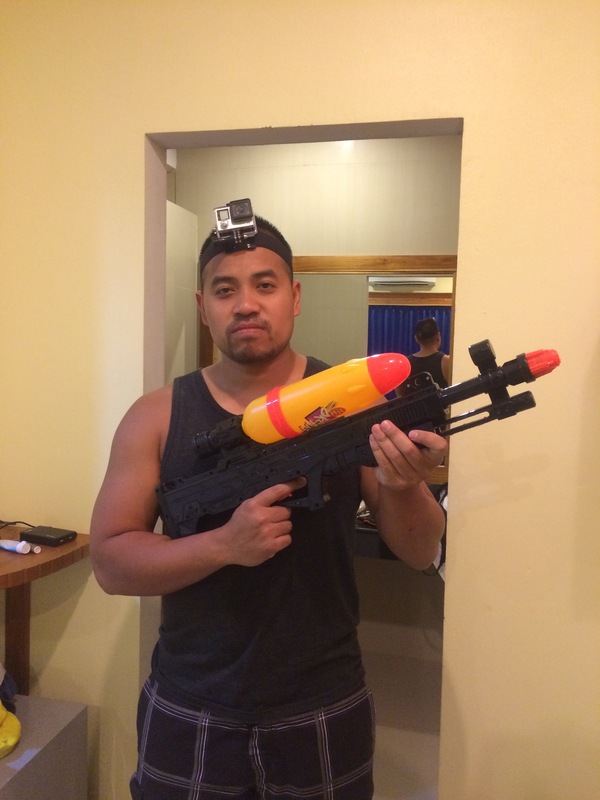 The photo of you with the GoPro and Super Soaker is awesome! Haha it was a lot of fun! We had to buy that in order to defend ourselves! What a fun post! It makes me feel all happy now! I love the way they celebrate their New Year, it must indeed be a very joyful and happy experience! What a way to start the New Year! It is so much fun! It is incredible to experience different cultures festivals, as you can really feel the community come together! Yes, I had no idea until we went! Thanks for reading! Thats awesome! It is such an incredible 3 days! We want to go back too! Such a fun festival. Your tips are great. Yes, so fun! Thanks for reading! Yes, we did need a big hose! The atmosphere sounds super fun and a lot like Carnivales with water getting sprayed on everyone and of course the three days of drinking and partying. Shelly recently posted…Asheville Spa Leaves us Floating On Water! Most of the time it was in fact cold-which was a little shocking at first, but it was also 100 degrees so felt nice. This sounds so much like the Indian festival of coulours, Holi! I am sure you had a great experience. This sounds like a great time and super fun. Something for kids and adults to participate and have fun doing. 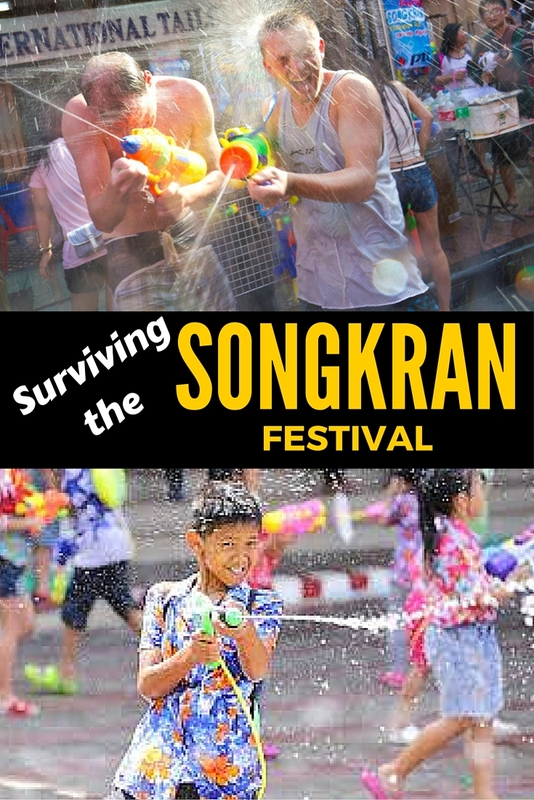 Never heard of Songkran, but will heading to S.E Asia later this year and may be there for the New Year. Thanks for heads up and looking forward to catching this festival. Sounds like Holi in India and a lot of fun too. Some day i hope to experience . Very helpful tips . Yes, pretty similar to Holi! Lots of fun! Omg. Why are there so many festivals around the world that are all about invading your bubble? Maybe it’s because I’m a parent who’s frequently combating splashing and dumping water on people, but I feel like I’d struggle here. I need to chill out, I think. It is a little crazy to think about, but once you are in the middle of it, its hard not to join in! You definitely have to experience songkran in thailand. Sounds incredibly full on to me. Having said that, Ive never heard of it, nor been to it. but, I must admit, these days I prefer something a little quieter and less in your face. I was going to say we should do this in England for New Year’s!! On second thoughts, probably not a good idea given the English winter!! Looks awesome, this is on the bucket list!! What a crazy festival! I had never heard of it before, seems pretty intense! 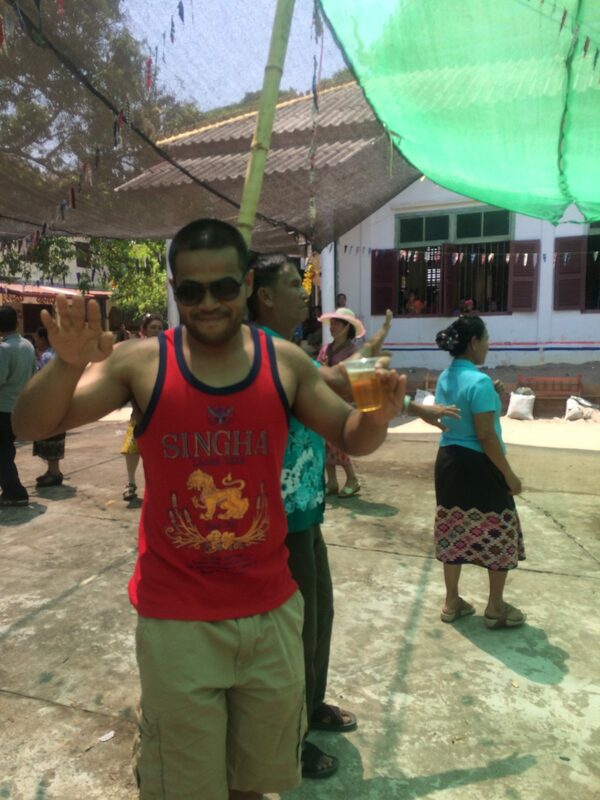 Had no idea about songkran. My 14 year old son would be in heaven. Very cool! Love the photo of you with the water gun! Looks great- love the supersoaker! I has no idea this was the new year festival. Learn something new all the time! This looks like some serious fun! Never heard of this festival before but now it’s on my list. I laughed so hard at the ‘nobody is safe’. It is so true!! But when I needed to take a bus to Pai, people still threw water at me eventhough I wore a poncho and even asked people not to throw water since I was going to sit in a bus for a while…. I got so mad….but well.